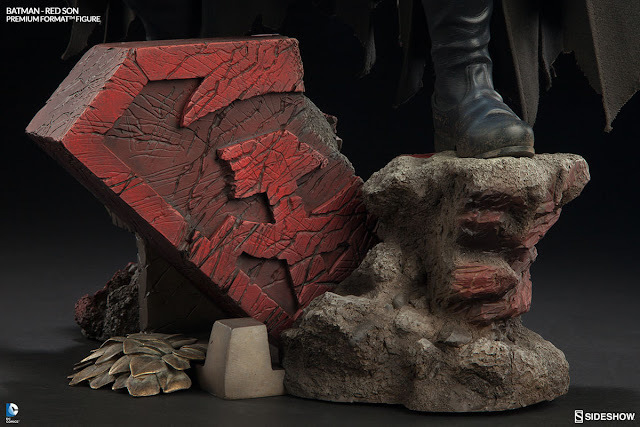 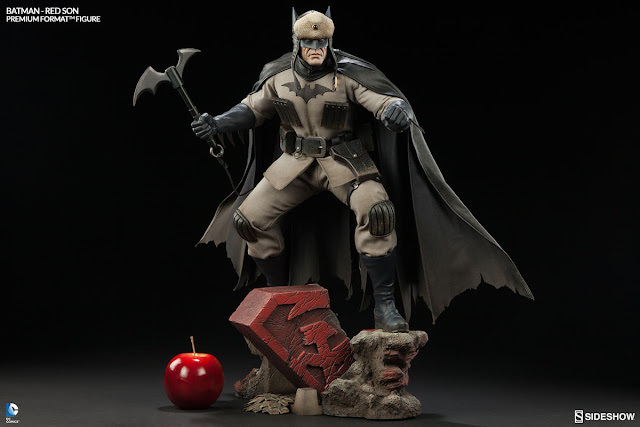 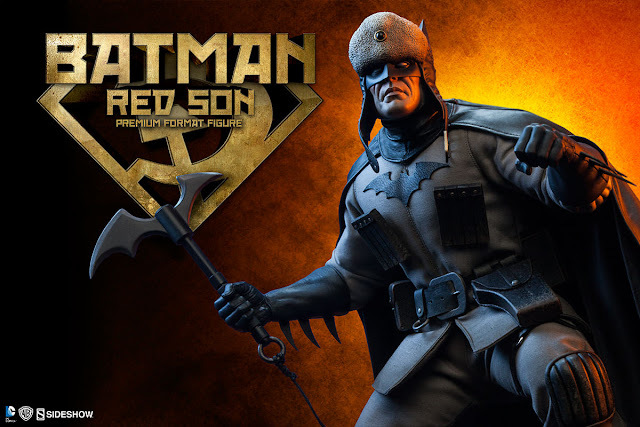 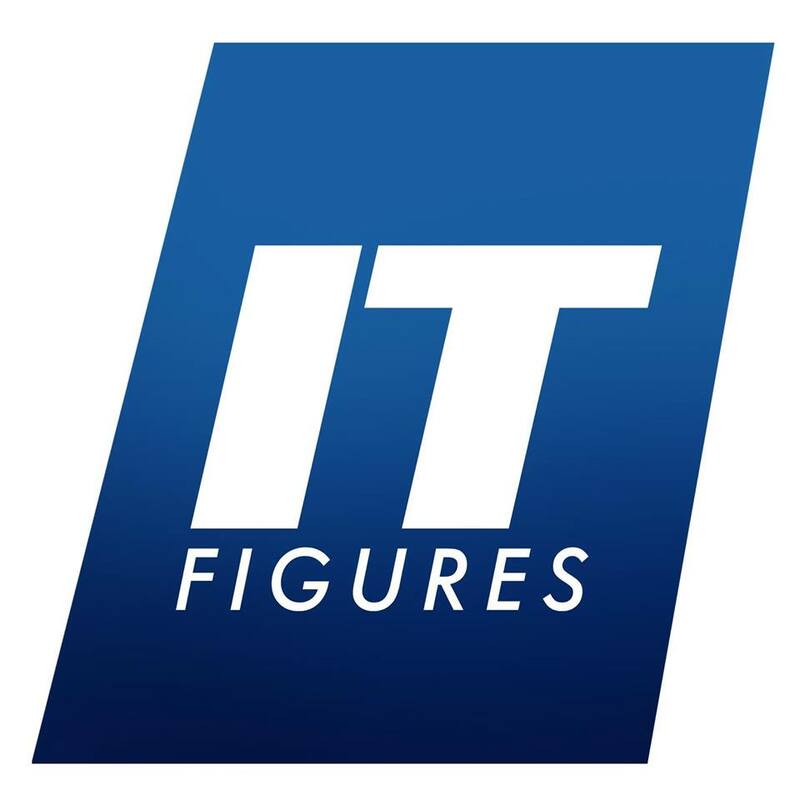 Based on the critically acclaimed Elseworlds mini-series by Mark Millar, Sideshow is proud to introduce the Batman Red Son Premium Format™ Figure. 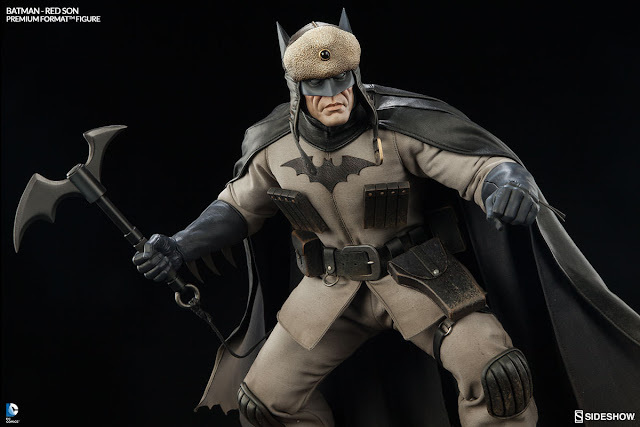 Sometimes known by fans as Batmankoff, in this alternate reality Batman has become a symbol of rebellion, a force of chaos in Superman’s world of perfect order, and the most wanted man in the Soviet Union after his parents are brutally murdered by the KGB. 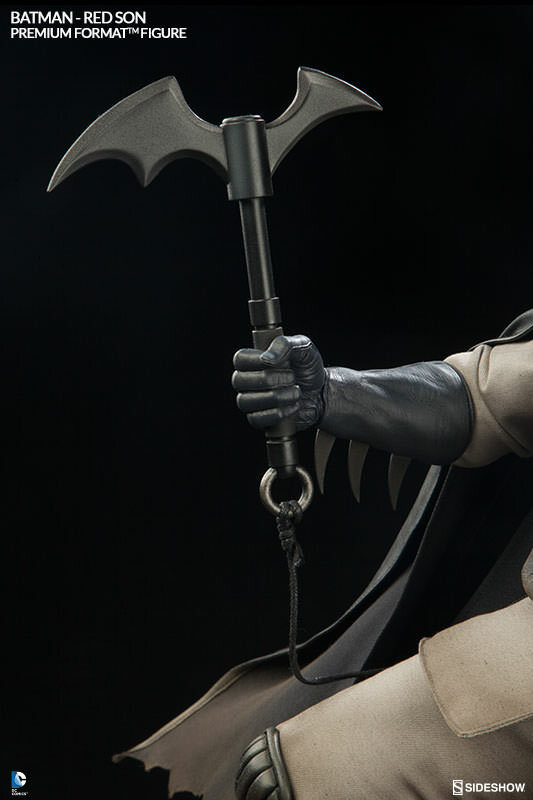 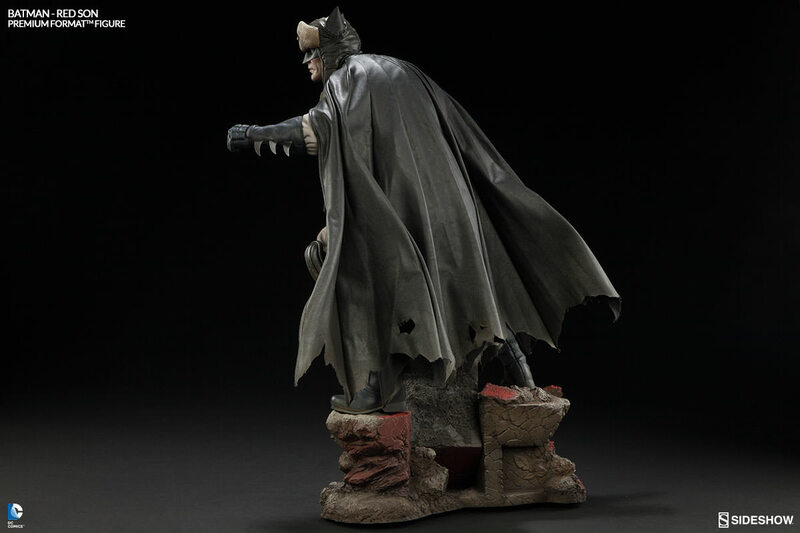 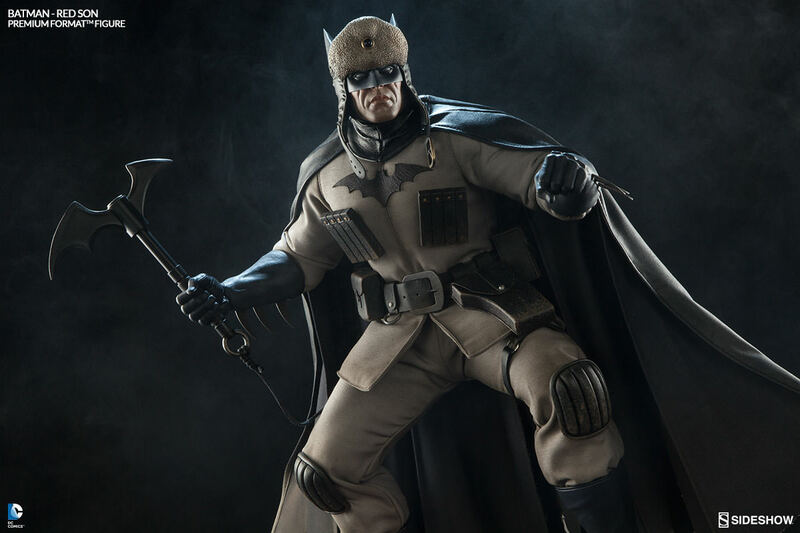 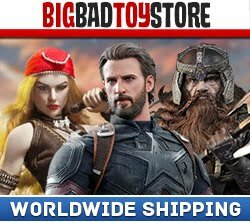 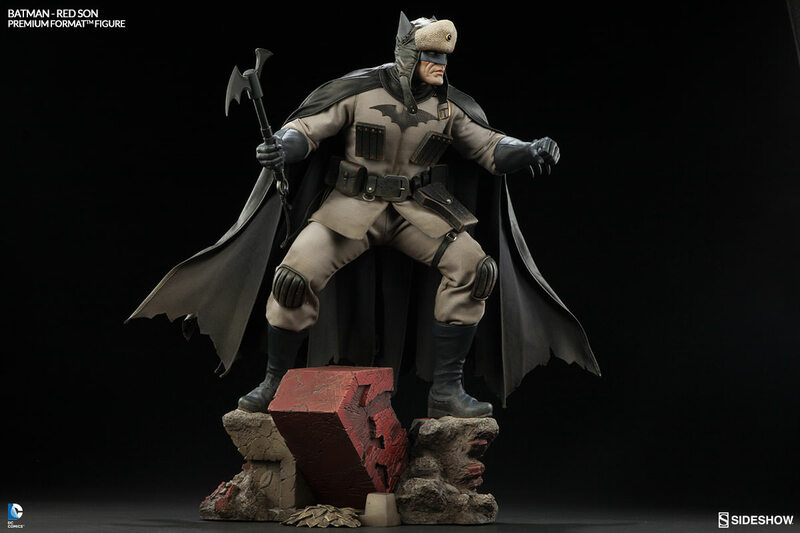 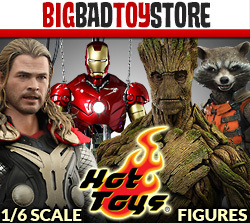 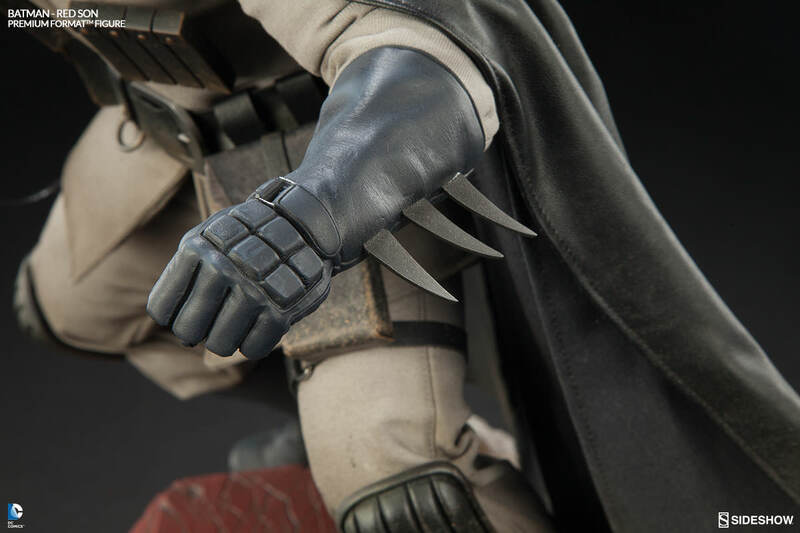 Expertly sculpted in one quarter scale, Batman is anarchy in black, dressed in a hand-tailored militaristic Cold War era costume with distinctive fur-lined hat, utility belt and sweeping cape. 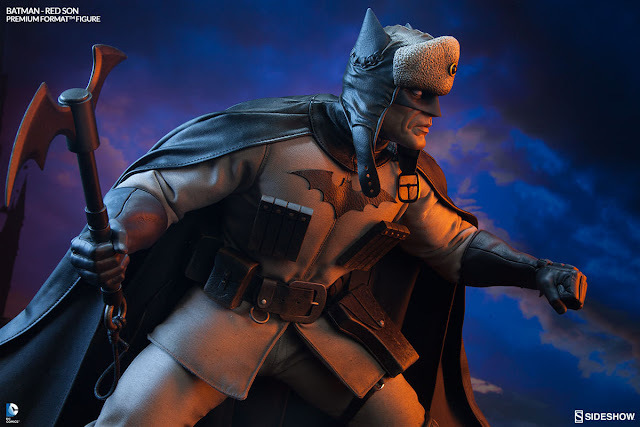 Planning his next strike with a bat-themed grappling hook at the ready, nothing will stop the leader of the new revolution from exacting revenge on the Communist politicians – and superheroes – who have corrupted his homeland. 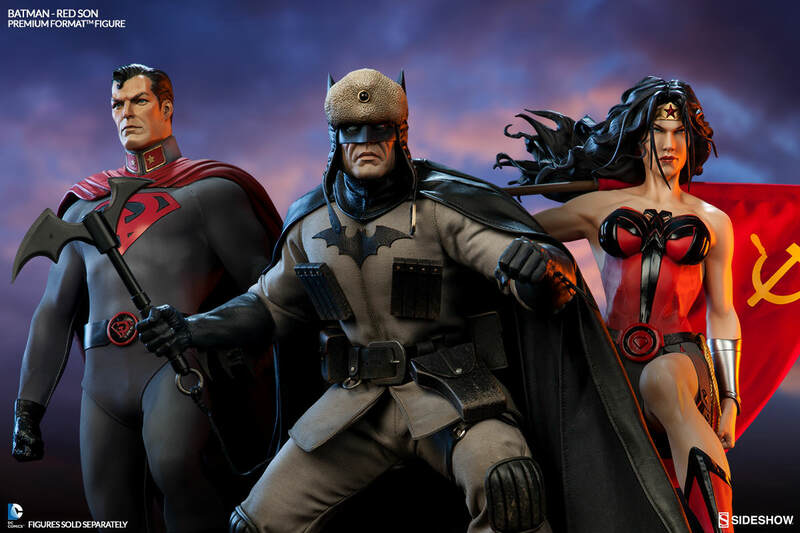 Joined by Superman and Wonder Woman, this is the ultimate Superman: Red Son collection!